We believe that CRM Software must be easily and rapidly customizable to your company’s specific needs. 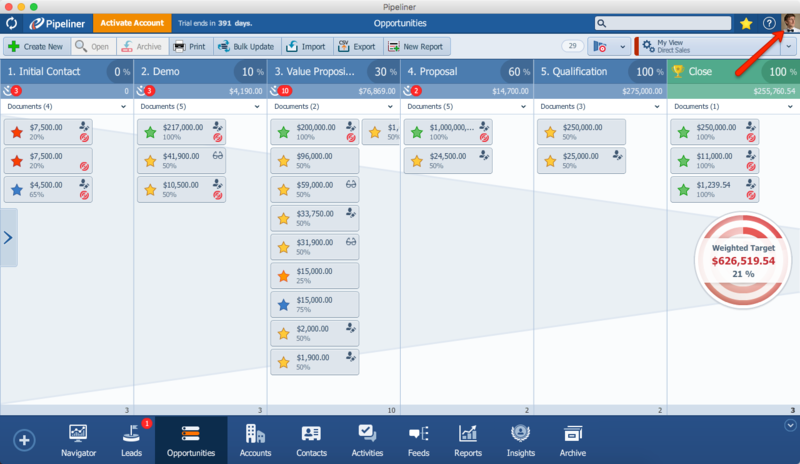 This is also important for the data forms within the CRM software—no two companies are going to use the same fields, the same arrangement of fields, or even the same field names. That’s where the Pipeliner CRM Template Designer comes in. What is a Custom Auto Number Field? 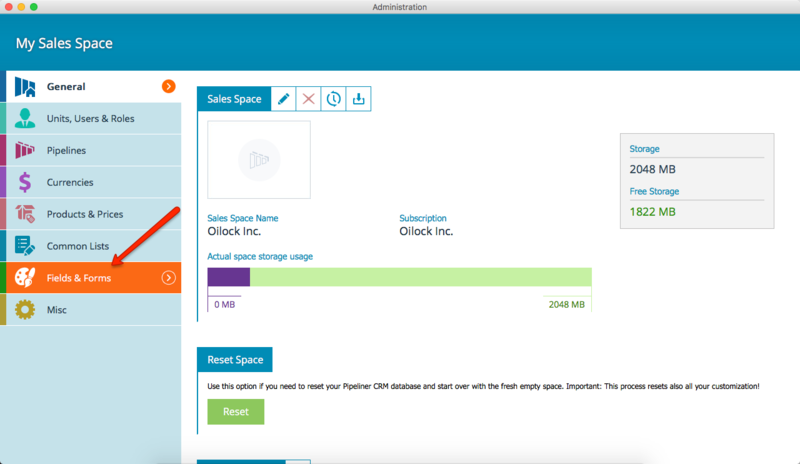 A Customer Auto Number Field is a custom field that you can create and add to any Pipeliner CRM form, and it automatically increments after each new related record is added to the system according to the number definition and time period. You can use this number to maintain your database and track the number of records you create within a specific time period. Once you set up the Auto Number Field to be reset at the beginning of every month, you will be able to use this number to view how many records you have created in that particular month, and also in which sequence they were created. Currently you are able to set up a template with Word or Excel and have this template automatically filled with fields in Pipeliner. 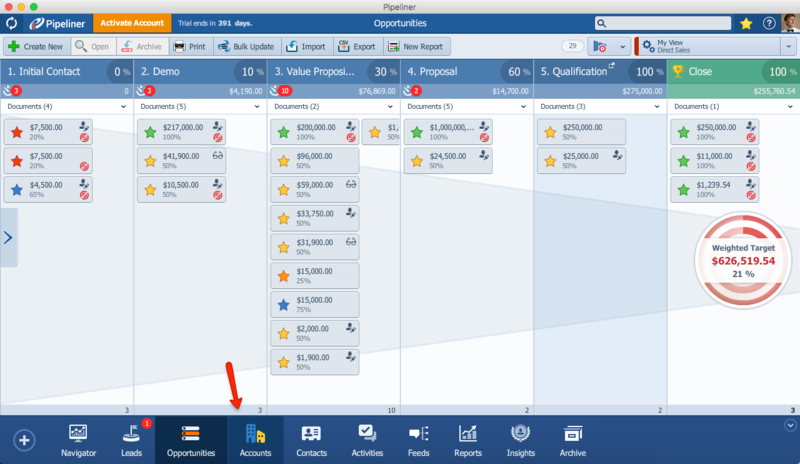 You are now able to produce recurring offer numbers or codes and bring them to Templates for quotes. How can I create a Custom Auto Number Field? Click on your profile picture at the top right. 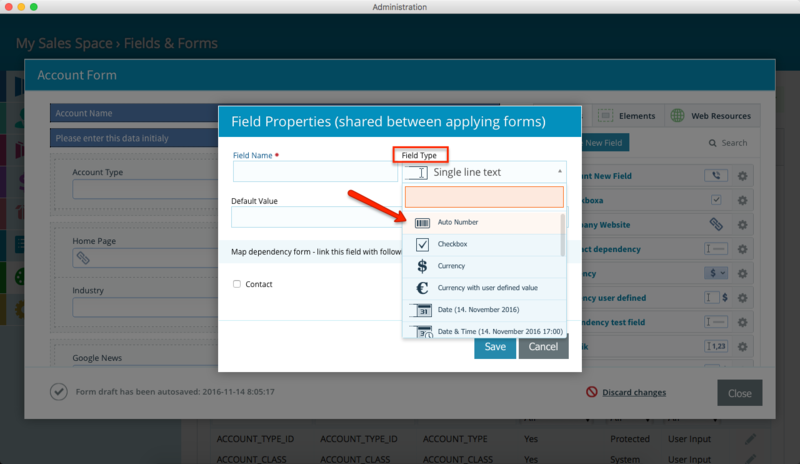 Within the navigation menu of Pipeliner Admin, select “Fields and Forms”. Pick the form you would like to edit by clicking “Edit Form.” In this example we will alter the Account form, and show you how to track the number of accounts created within a single month. From the available options, find “Auto Number”. Period – You can choose between year, where you can track number of records created during whole year OR month/year option, where you can track number of records created within a month for that particular year. Important: The Auto Number Field resets itself according to this setting–that is, at the beginning of the new month or year (depending on how you set the period), it resets the counter to zero. Number – You can define the digit structure that best fits your company’s needs. Used defined text – You can use three options – At the beginning, end or in the middle. Save the field, and drag and drop it into the form. Review the field settings and eventually add a short field description to this field so your users know the definition of this field and its function. How can I use the Custom Auto Number Field? 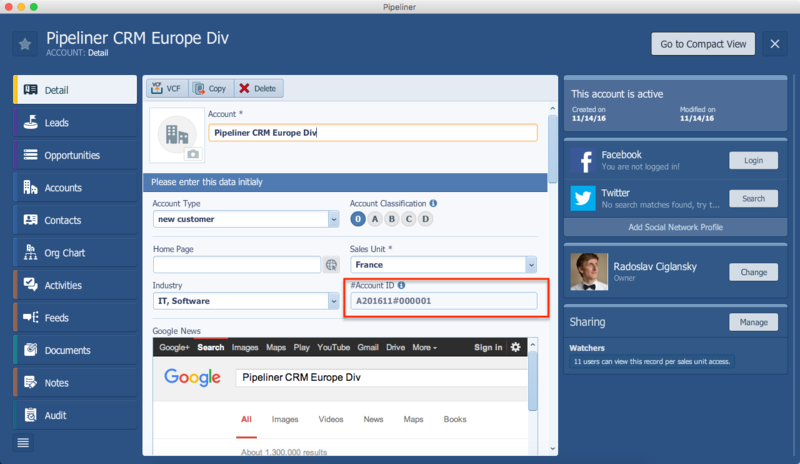 In order to see the Auto Number Field within Pipeliner CRM’s Account form, sync Pipeliner CRM and create the first Account. Create an account. As you can see, the “Auto Number Field” is still empty showing “N/A”. That is because Pipeliner CRM is a desktop application that syncs to a secured cloud environment. Pipeliner CRM analyses the recently created accounts in your system, and assigns the correct record number after first successful synchronization. Reopen the account and review the number after sync. Q1: How can I create Auto Number Field? 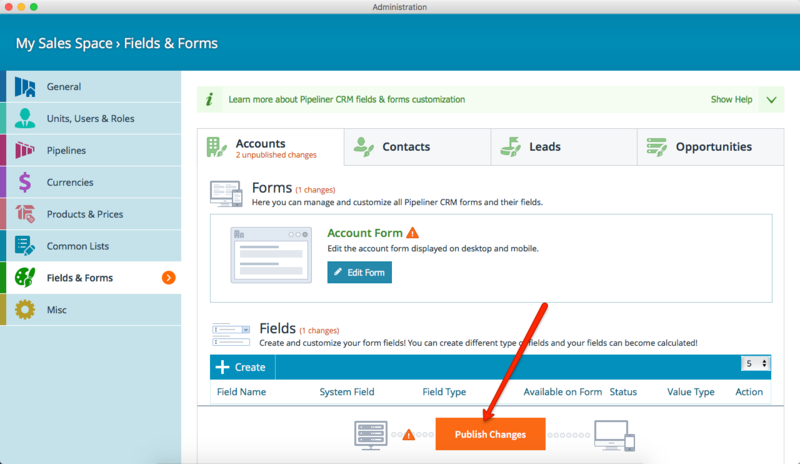 A1: In order to create an Auto Number Field, just open Custom Fields and Forms within the Pipeliner CRM Admin, and add a new field to the form where you would like to add it. 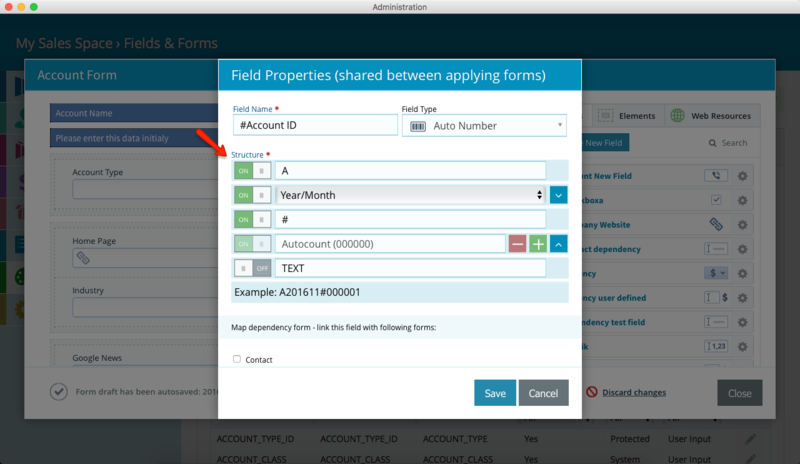 Q2: To which forms I can add a Custom Auto Number Field? Q3: Can I add multiple Customer Auto Number Fields to a single form? Yes. 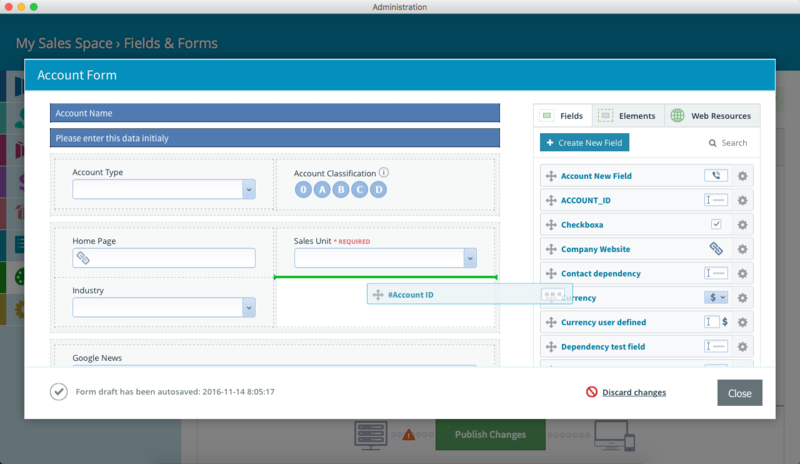 You can add multiple Custom Auto Number Fields to a single Form. 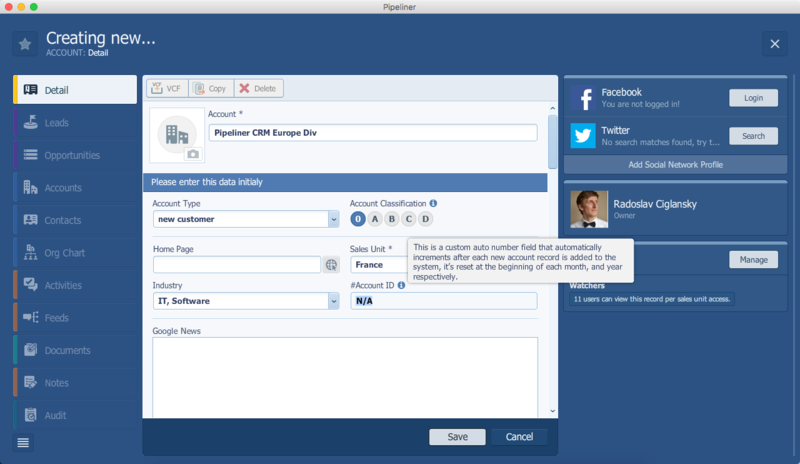 Q4: I have just created a new record in Pipeliner, but the Auto Number Field is empty. Why? That is because Pipeliner CRM is a desktop application that syncs to secured cloud environment. Pipeliner CRM analyses the newly created accounts in your system, and assigns the correct record number after first successful synchronization. 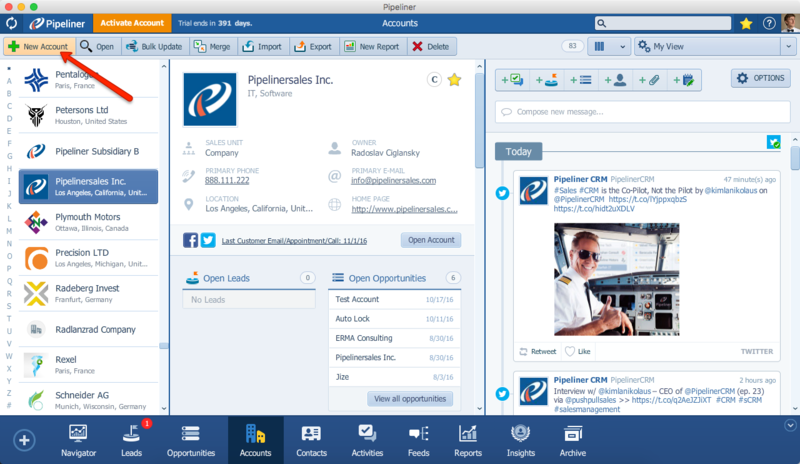 Q5: We have accounts that have already been created in Pipeliner CRM. 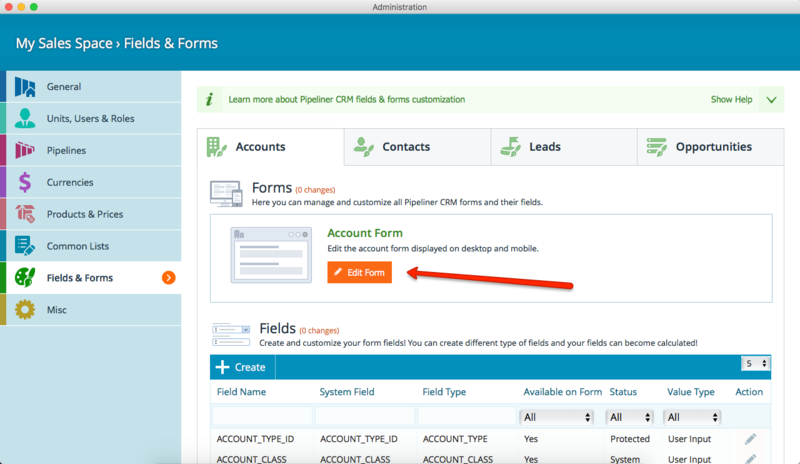 How does Pipeliner CRM handle records that have already been created prior to creating the Auto Number Field? 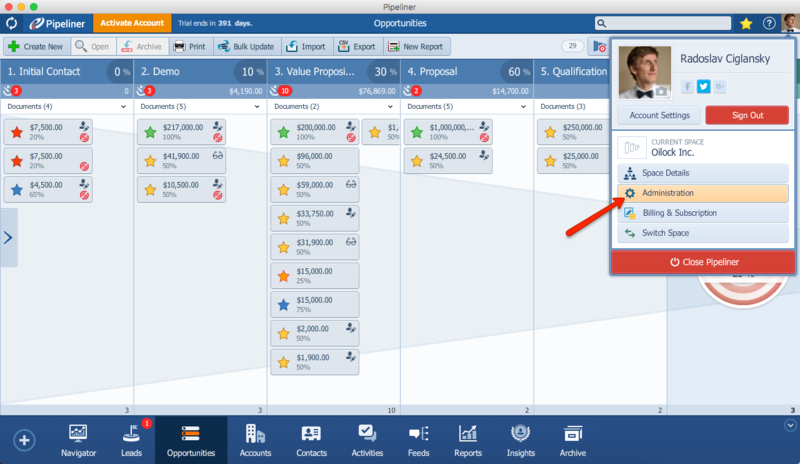 Pipeliner CRM assigns the number according to your structure definition only to the newly created records. 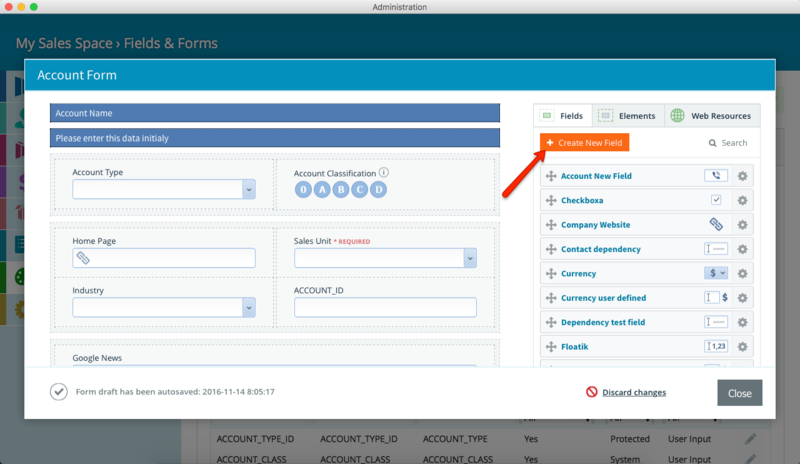 All records created before introducing a Custom Auto Number Field to your form will be marked as N/A. Q6: Our company is working in the multiple timezones. Which timezone will Pipeliner CRM reference when resetting the Auto Number Field date at the beginning of each month or year? Go to “Misc” › “Global Settings”. 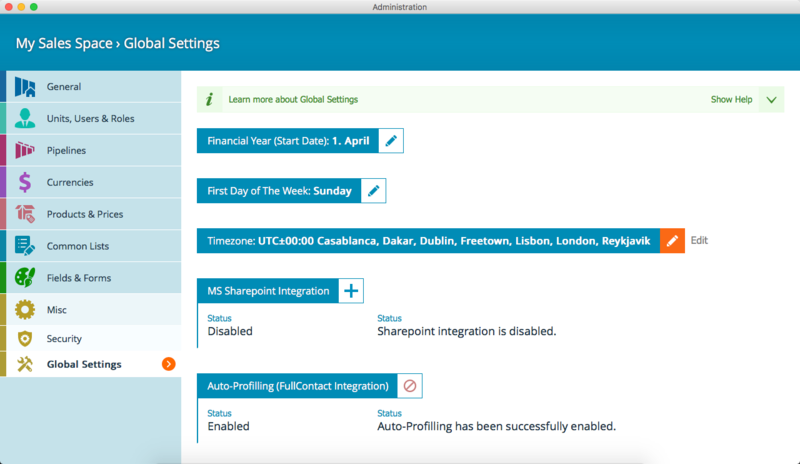 Setup your “Company” and “Space” related Timezone.